Discussion in 'LightShow Pro (LSP)' started by vincerules, May 10, 2013. 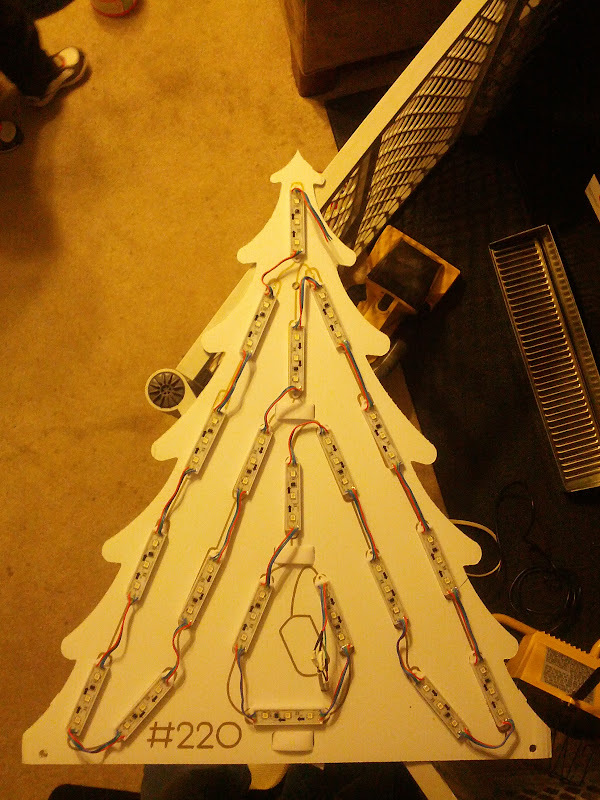 I have 6 holiday coro rgb trees that I used smart modules in. I want to be able to make these in LSP visualizer. Since I need to make 6 of them I was hoping for a way to duplicate them so they are all roughly the same. Any tricks to doing this? Thanks for the reply. That's what I needed to know. Just wanted to make sure I wasn't missing something. I'll just go through and make each one. Sorry to be so late as I spend most of my forum time on the LSP forum. If I am misunderstanding I apologize. Vincerules..... did the video help any? I hadn't seen your reply until now. I just watched the video and it appears to be exactly what I need. I will test it out when I get home. Thanks! OK, I just tried it. This does seem like what I am looking for but it doesnt work for me the way it does for you. I clone the controller, then go to draw channel images and use the select arrow to make a big box around the whole object, but it doesnt select all the different channels, only whichever channel is selected in the bottom right box "Channel: "
This is why i said it cant be done with multiple channels, or at least i havent worked it out yet. Mike may know somthing im not aware of, so if he does i would love for him to share. The video shows it can be done with multiple channels. When drawing the select box around the entire object even though it does not appear to select all the channels it actually does if you indeed draw the box around the entire object. Although it is very sensitive if you DBL click in the correct area between the 2 highlighted dots that appear to be the only ones that are selected it will them move the object as is shown in the video. Maybe I am just getting lucky but I can indeed get it to work as is shown in the video. I have created another video and am uploading it now. This time I used a matrix and a VERY old version of LSP. The first video was created with the current version of LSP so this feature has been around for quite a while, just not very well known. I will modify this post when the video has finished uploading. If it matters, I didn't use a tool (matrix/tree) to create my prop. I went to Draw Channel Images, used the spotlight tool and created channel 1, then selected channel 2 in the drop down box and drew channel 2, etc, etc through all 20 channels. When I did the clone controller, and went back into draw channel images, I selected a huge area to be sure it included all channels, I didn't get the selection box with 2 dots like you did, I got a large rectangle selection box along with a smaller one that surrounded just the channel 1 spotlight that i had drawn. I will try it again later today when I get home. The tool you are using is not a multi channel tool if I am understanding you correctly. It is a single channel tool only so the resize, move or delete will work on it. My video addressed only multi channel tools. when working with single channel tools the box you draw will only include objects on the channel to have selected. The selection tool will not at the current time cross channels unless the object has been split across multiple channels. The select tool only works on one object at a time. I asked Eddy the other day if he got the move of the split object to work and he indicated that he did. Glad to know that it works as described. Even though that didnt work for me in this case, because I used spotlights, I was happen to have learned of the trick. It will definitely be very helpful in the future. The reason I went with spotlights is so that I could see them easier rather than just light for this particular object. It works but if trying to move a pixel object like a tree then you have to move a pixel to enlarge the selection box, when you do this it allows you to move the pixel element. In Mikes example its seems easier because he has used multiple pixels per RGB channel and thus this allows for a larger selection area, but if you have 1 pixel per RGB channel then you need to move this to enlarge the selection area, once moved then shrink back down the selection box so the pixel is back in the correct position.